A simple mouthwash test can be taken to tell if you are a carrier. This is important if a relative has CF or is a known carrier. It is very important to have the test if your partner is a known carrier. 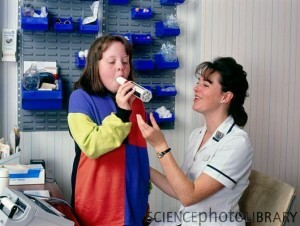 This test is used early in pregnancy to tell whether a baby has Cystic Fibrosis. 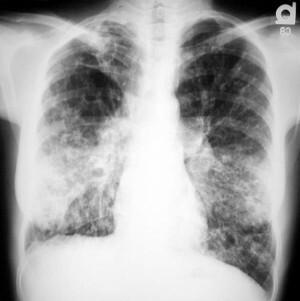 It is usually offered to mothers who are at a high risk of having a child with Cystic Fibrosis. After birth, the standard diagnostic test for cystic fibrosis is called the sweat test — an accurate, safe, and painless way to diagnose CF. 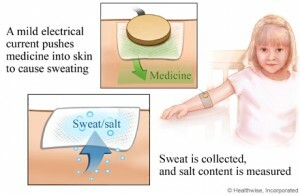 In the sweat test, a small electric current is used to carry the chemical pilocarpine into the skin of the forearm. This stimulates sweat glands in the area to produce sweat. Over a period of 30 to 60 minutes, sweat is collected on filter paper or gauze and tested for chloride. 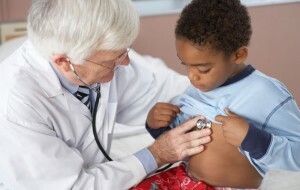 Several other tests are standard parts of the routine care used to monitor a child having CF. Bacterial studies that confirm the growth of Pseudomonas aeruginosa, Staphylococcus aureus, or Haemophilous influenzabacteria in the lungs .